The stunning sequel to wildly praised, Waterstones fantasy bestseller Caraval. 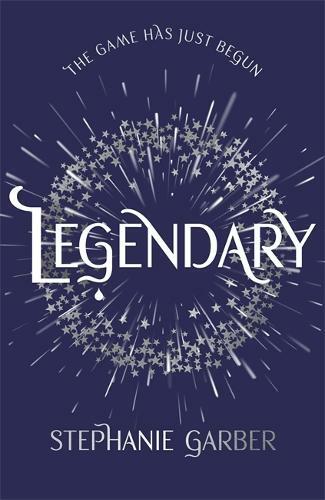 The only chance of uncovering Legend's identity is to win Caraval, so Tella throws herself into the legendary competition once more - and into the path of the murderous heir to the throne, a doomed love story, and a web of secrets... including her sister's. Caraval has always demanded bravery, cunning, and sacrifice. But now the game is asking for more. If Tella can't fulfill her bargain and deliver Legend's name, she'll lose everything she cares about - maybe even her life. But if she wins, Legend and Caraval will be destroyed forever. With her 2016 debut Caraval, Stephanie Garber instantly ascended to the summit of YA taelnt, delivering a dizzying gothic fantasy of circus, theatre, outlandish games and very real danger. An instant bookseller favourite, the prospect of a sequel is one of the true highlights of 2018. I finished Legendary this afternoon. My heart is still racing. This book! Firstly a big Thank You so much to Hodder who personalised my proof copy. A spell-binding fantasy with beautiful descriptives and complicated characters - there were a few clichés but it was so much fun to read.